Saw a photo of this pattern on Pinterest. When looking for the pattern, there was none. Felt challenged. 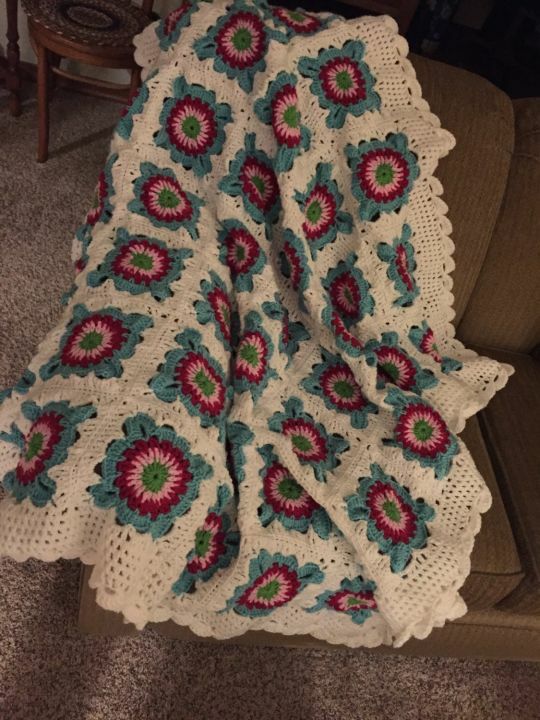 Looked at the photo and figured how to crochet it. Turned out gorgeous! This is so pretty! The colors are perfect together. Debbie, i can share the picture I followed. I figured out how to crochet the last (white) row by trial and error.